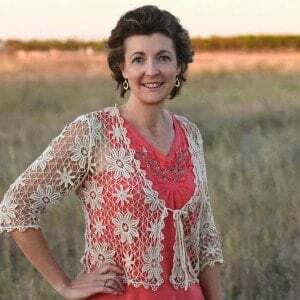 The Farmer’s Supper – easy chili crockpot recipe. 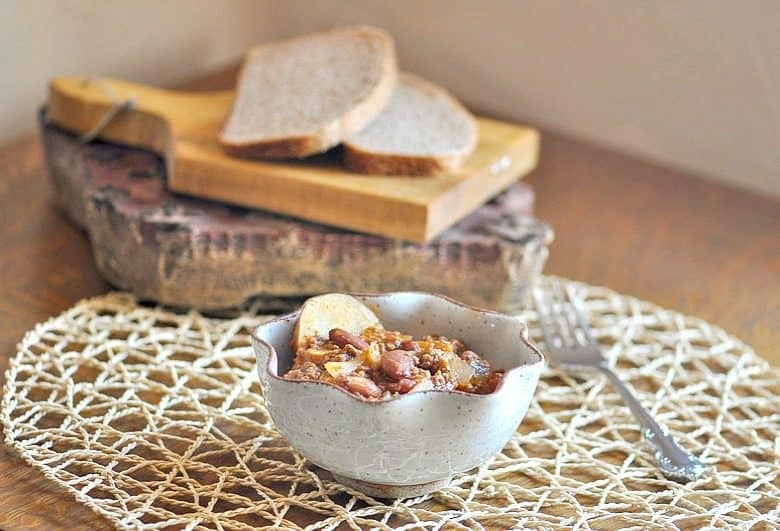 While hearty enough to satisfy even a farmer’s appetite is not just for farmer’s and is a delicious, hearty and comforting meal the whole family will enjoy! If you are like me, you love meals that keep the kitchen cool in the hot summertime. With temperatures in the high 90’s and over 100 F, I find myself using the crock pot more often. For our family size, my good old standby Hamilton Beach crock pot is just not large enough even though it is 6 quarts. Remember, we still have 6 of our 10 children at home and 4 of them are boys – farm boys with BIG appetites! So, I found that if I triple or even quadruple recipes, I can use my 22 qt roaster! Not only do I keep the kitchen cool, I often have enough leftovers for another meal – YEAH! OK, I cannot go on without confessing, it was John who suggested placing it outside, but I did it! 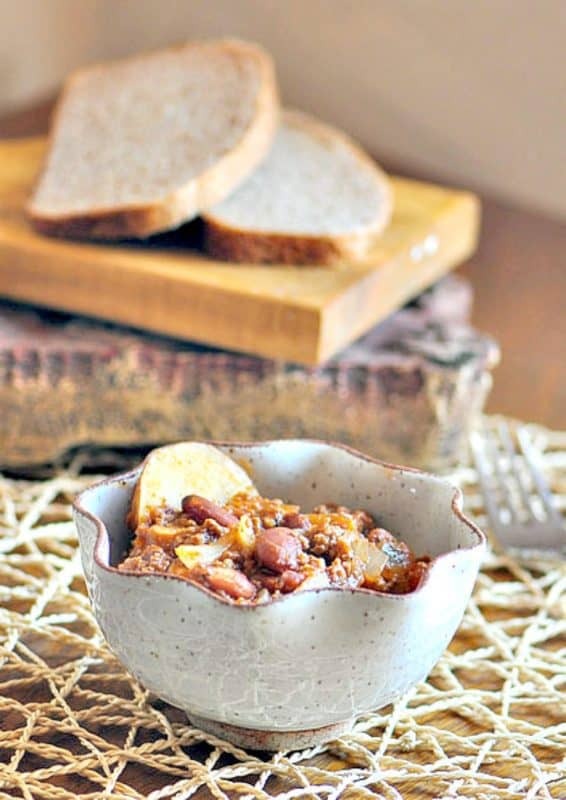 What To Serve With This Easy Chili Crockpot Recipe? The Farmer’s Supper is a one dish meal unless you want to add a side vegetable. A salad works great and don’t forget the Sourdough bread! The link given is the recipe I use with my whole wheat sourdough starter and it is delicious. While the Farmer’s Supper helps keep my kitchen cool, it is also hearty enough to serve and satisfy even my farm boys. Yes, it is basically a meat and potatoes meal but being made in the crock pot (or roaster), all the preparation is done ahead of time. 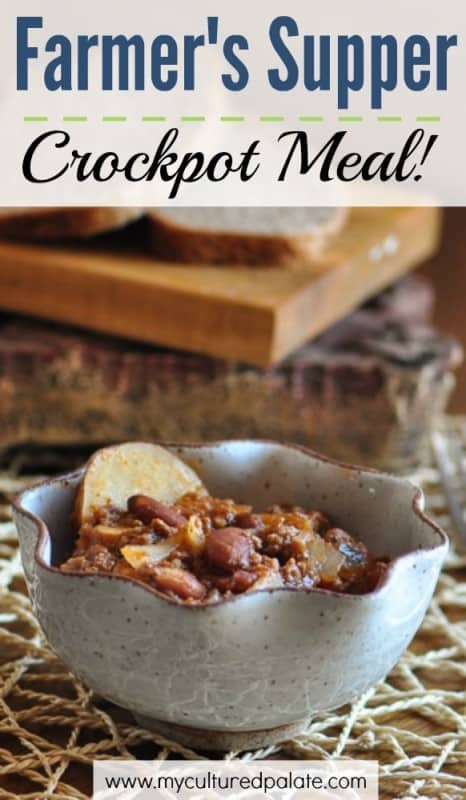 This makes this easy chili crockpot recipe the perfect meal for entertaining – just add a salad and bread! The night before I want to serve it, I cook dried beans that have soaked throughout the day, I also brown the ground beef and chop the onions. We are still enjoying the beef from the steer we butchered but, if you are looking for quality grass fed beef, try my affiliate US Wellness Meats. They also carry grass fed lamb, poultry, bison, pork, duck, tallow and more. In the morning, all I have to do is slice the potatoes, season the tomato sauce and put it all in the crock pot/roaster and let it cook! 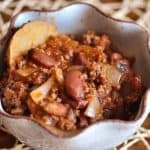 Have you had chili with potatoes? It's very hearty. Brown the ground beef - I do not drain mine. Layer in the slow cooker in this order - onion, ground beef, sliced potatoes and beans. Add to the tomato sauce the flour, salt, pepper, oregano, garlic and mix well - pour over the layers in the slow cooker. Cover and cook on low 8 hours or high 4 hours - the potatoes should be tender. Looks delicious and sounds great! I am planning on trying this next week. We have a similar recipe on the menu this week. However, I did try the bread recipe. Oh my, oh my, oh my!! Was it a hit with my family! My husband has been preferring to have store bought bread but I think he might change his mind after this. THANK YOU for highlighting this recipe. I really enjoy making breads and like The Fresh Loaf. Sarah, I am so glad you like the sourdough bread too! It has really become my go to recipe. In fact, I can’t remember the last time I made plain whole wheat bread! I love the bowl. Where did you get it from? I love how easy this is, I always crave food like this when it gets to Autumn time!